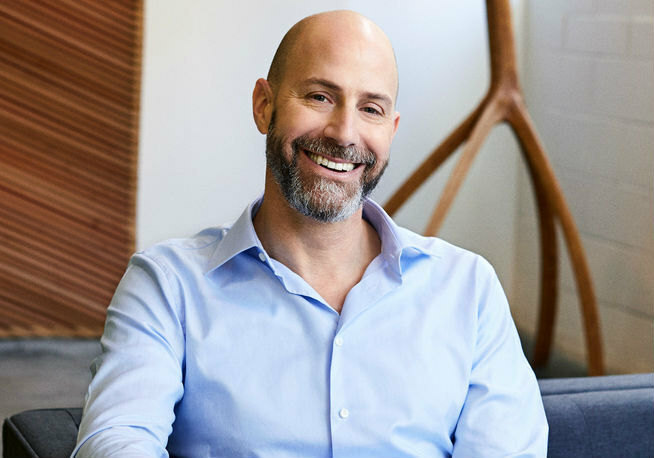 On December 13, Etsy CEO Josh Silverman updated Etsy sellers. He also shared information in a video on December 5, 2017. Here are some highlights about search improvements. In September, we introduced a major improvement called Context Specific Ranking, or CSR. Through CSR, we’re personalizing the search experience by using information about the shopper, time of day, and other context-specific factors to rank results in real time… The more personalized approach means that you’ll no longer see the same results every time you type in a search term. And the good news is that we’re already seeing CSR drive more sales. 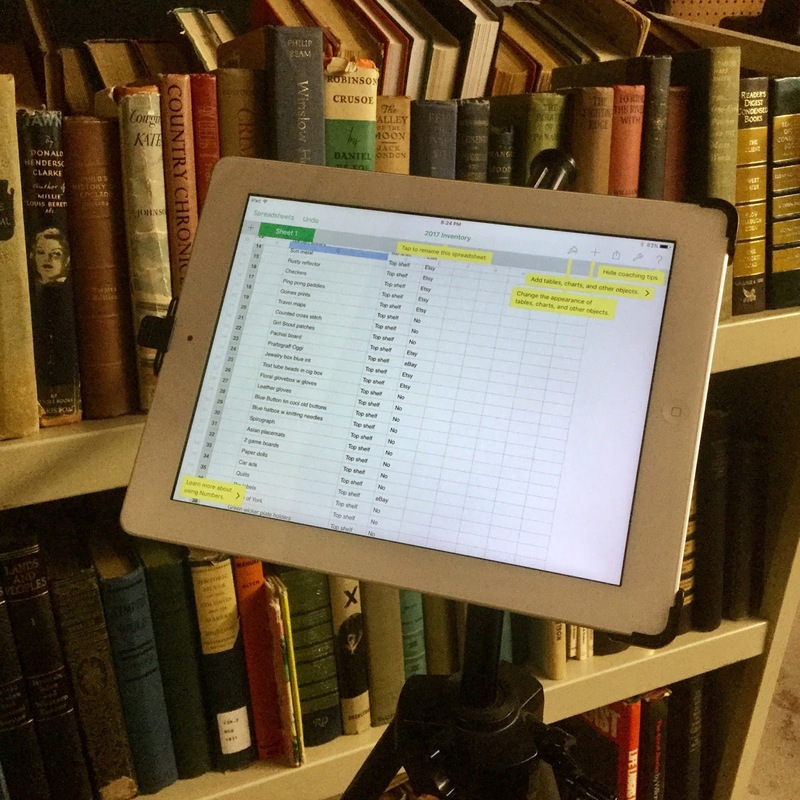 We’re also working hard to get better at understanding what your item actually is, based on all of the information in your listings, with less focus on your titles. Eventually, as search continues to improve, our goal is to enable you to include all the relevant data about your products as you list them, reducing the need to continuously refine your SEO terms. Let us break this down a bit. "...you’ll no longer see the same results every time you type in a search term." That means that doing test searches to determine ranking of our items is no longer possible. Every time someone searches, they will see something different. This is where Josh introduced the term "CSR" or "Context Specific Ranking." Through CSR, we’re personalizing the search experience by using information about the shopper, time of day, and other context-specific factors to rank results in real time. 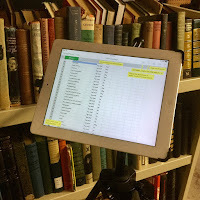 We’re also working hard to get better at understanding what your item actually is, based on all of the information in your listings, with less focus on your titles. Eventually, as search continues to improve, our goal is to enable you to include all the relevant data about your products as you list them, reducing the need to continuously refine your SEO terms. This is good news if you dislike tweaking listings. 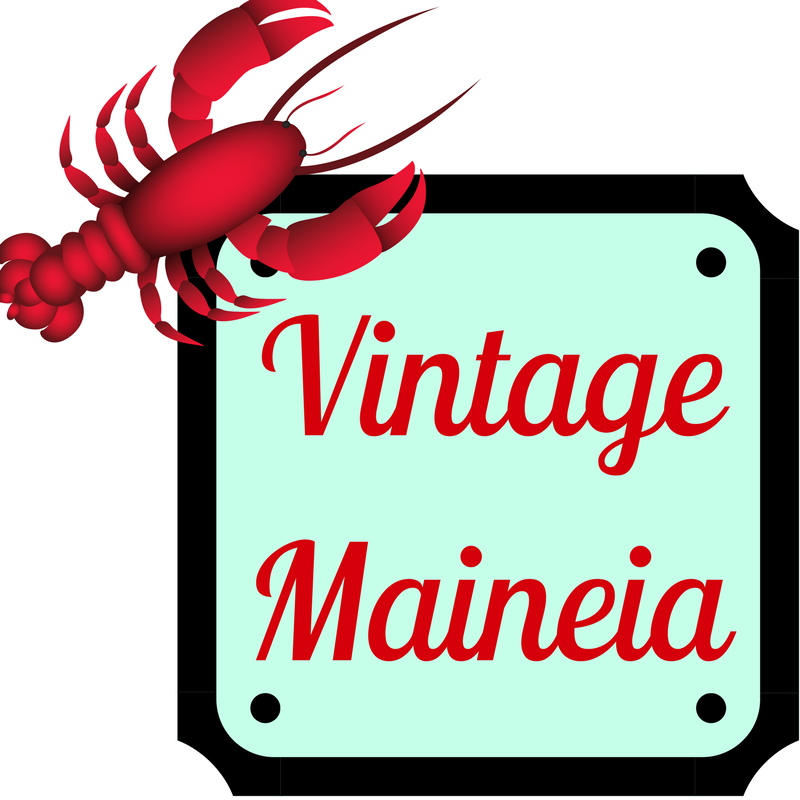 It means more time to pick great vintage to sell, right? Regarding improvements to search and discovery, this continues to be a major focus for us. 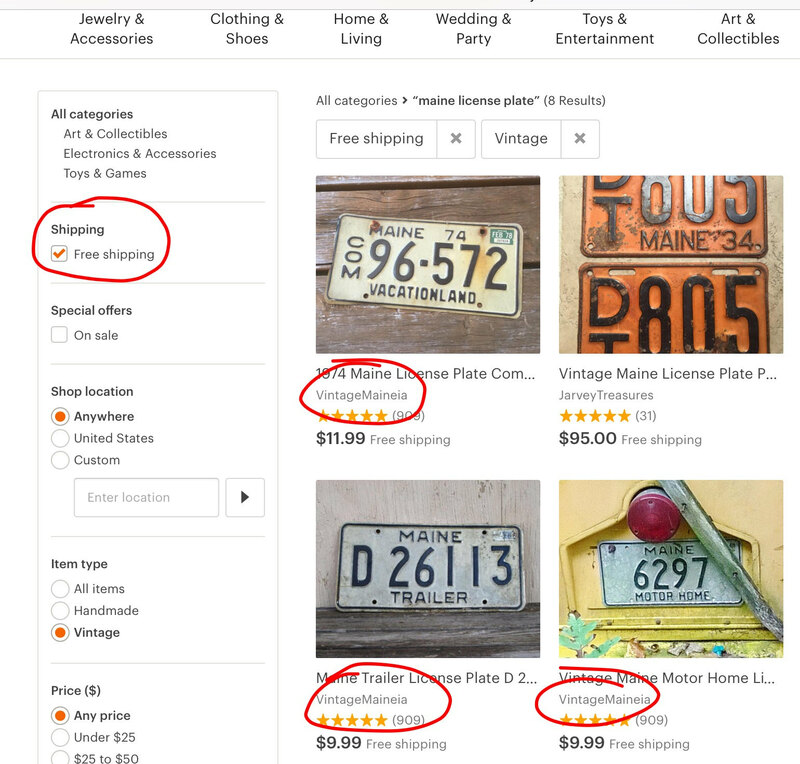 As I mentioned in my video, in addition to rolling out context-specific ranking, or CSR, we’re working hard to get better at understanding what your item actually is, based on all of the information in your listings, including image recognition, with less focus on your titles. Eventually, our goal is to have you design your title and item description in a way that most appeals to customers. We’ll keep you posted on our progress. We boost new shops and new listings in relevant search for a very brief time to give them a chance to be seen. After this quick boost the new items will appear as they normally would in search results. 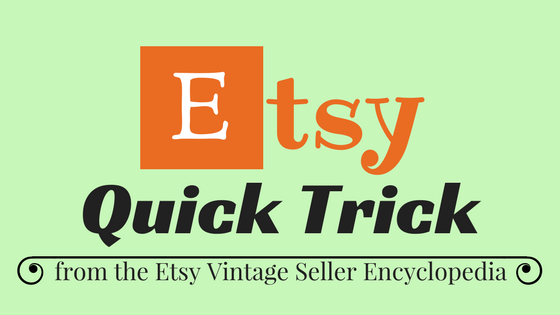 This practice, which is common in ecommerce and retail in general, has been in place on Etsy for the past few years. I’d like to address search “clumping,” which has been a hot topic lately. Our system limits the number of listings per seller that can return within the first few pages of results for any given query. 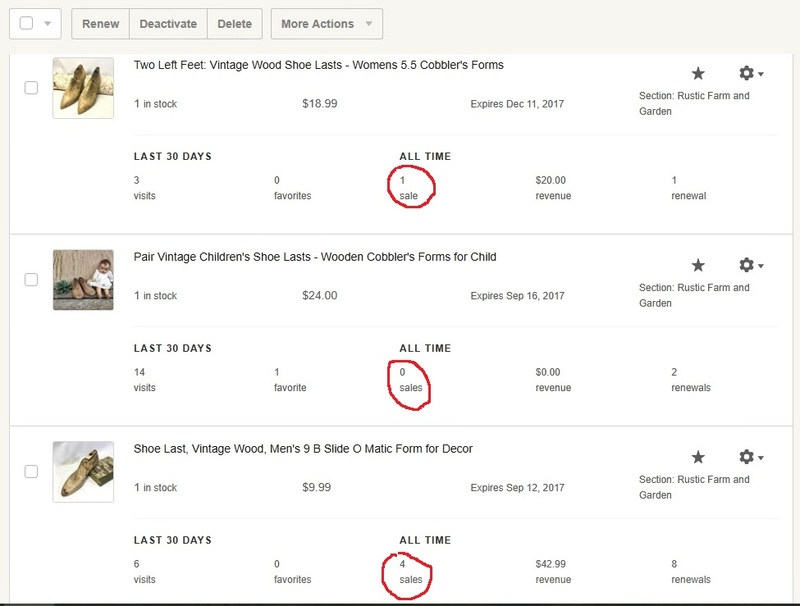 This allows us to help buyers experience the breadth of items available on Etsy, which, as we’ve learned through data and testing, increases the likelihood they’ll make a purchase. We’ll continue to analyze the data to make sure we’re helping buyers find what they’re looking for within our diverse collection of listings. We need to do a better job at delivering Breadth, and not just Depth. I agree this is an area where we need to improve, and we are making significant investments to do so. …the search algorithm, the way we match search terms to listings hasn’t changed and our guidance remains the same, including recommendations for keywords, titles, and categories. What has changed is how we rank search results. Through context-specific ranking, we’re personalizing search rankings in real-time using information about the shopper, time of day, and other context-specific factors. This new approach is leading to an increase in sales in the marketplace. Now we will break it down a bit. 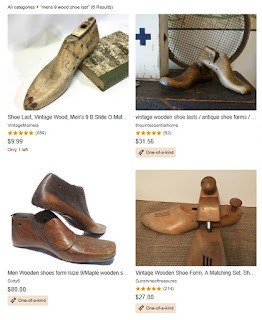 ...In addition to rolling out context-specific ranking, or CSR, we’re working hard to get better at understanding what your item actually is, based on all of the information in your listings, including image recognition, with less focus on your titles. Fill out all of your attribute fields (things like color, size, capacity, style, occasion). Include lots of pictures, as image recognition is on the horizon. 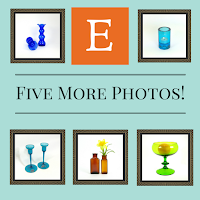 Think about it, the more photos you have the more chances to be matched up with a buyer's search! We boost new shops and new listings in relevant search for a very brief time to give them a chance to be seen. After this quick boost the new items will appear as they normally would in search results. So listing new items gives them a "quick boost." Is that better than renewing? Maybe. Our system limits the number of listings per seller that can return within the first few pages of results for any given query. This allows us to help buyers experience the breadth of items available on Etsy, which, as we’ve learned through data and testing, increases the likelihood they’ll make a purchase. Clumping is the new normal. You can be sure that Etsy would not be doing it unless it resulted in increased sales over all. …the search algorithm, the way we match search terms to listings hasn’t changed and our guidance remains the same, including recommendations for keywords, titles, and categories. Etsy's "best practices" have not changed. (As always, use a variety of long-tail keywords. Use concise titles and accurate tags. 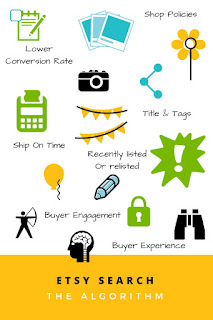 Those are the best ways right now to capture different queries that buyers might make.) 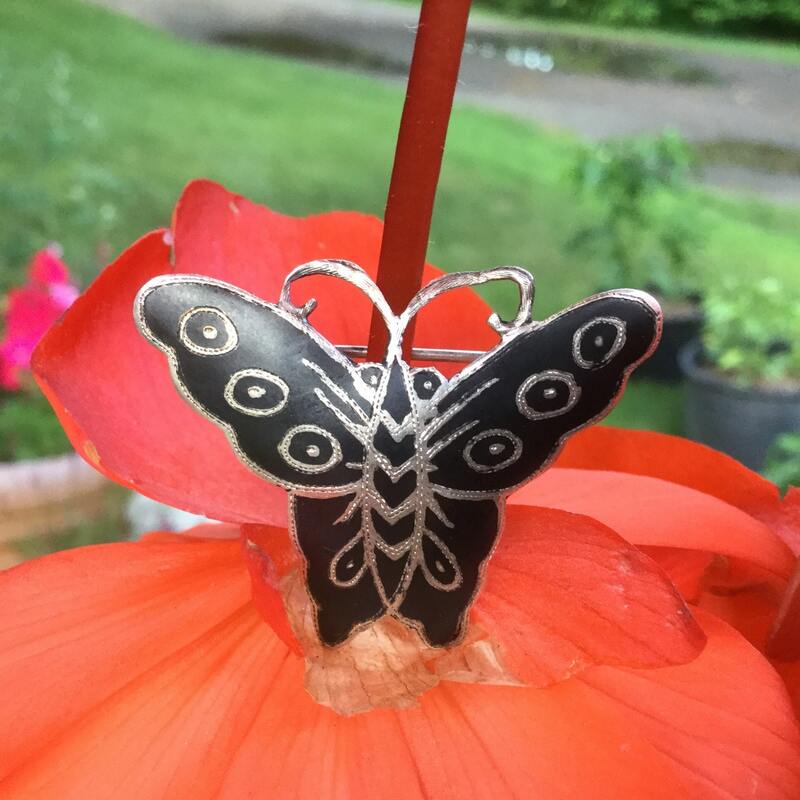 Try this prototype team for an improved way to find Etsy's categories. What has changed is how we rank search results. Through context-specific ranking, we’re personalizing search rankings in real-time using information about the shopper, time of day, and other context-specific factors. This new approach is leading to an increase in sales in the marketplace. But how search results are served up has changed. There is that term "CSR" again. How items are placed in search are personalized (using information about the shopper, the time of day and other factors to be sure). Josh Silverman is saying that he has the shareholders' backs. And sellers, as there would be no marketplace without them. Who is in the driver's seat? What is up with Etsy's search? Reports vary... some shops are doing all right and some are not: theories abound. Things have changed with Etsy's search. That is a fact. 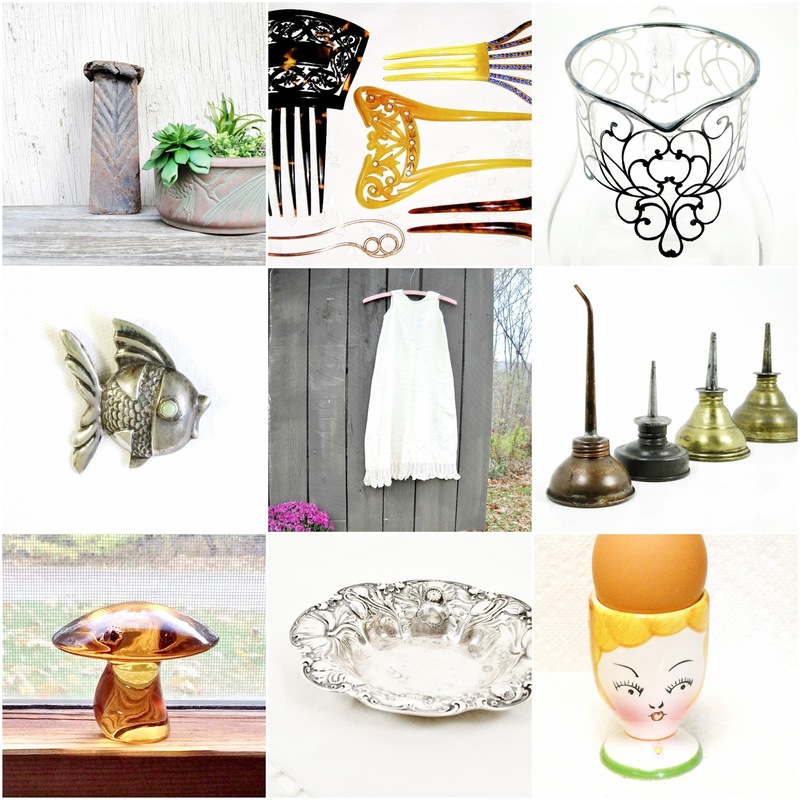 As one seller put it,"relevancy is no longer relevant on Etsy." This may sound radical, but it is time to reassess everything that what we think we know about how search works. Everything. The entire ball game has changed. Why are sellers holding their breath? 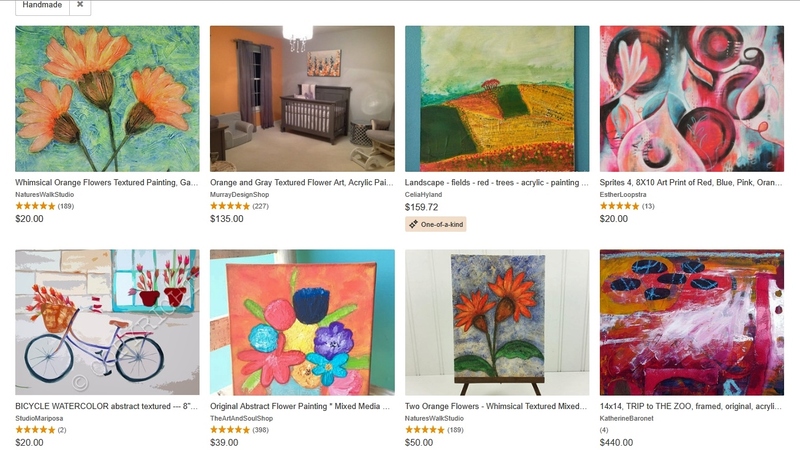 Artificial Intelligence is now in the driver's seat of Etsy search. Etsy feels a bit like driverless car... No one, not even the programmers, know exactly where the search "vehicle" is headed with the new "recommendation technology." Sellers will have to be patient. "Machine learning" has to do its thing. It will be seeking connections between searches and purchases. 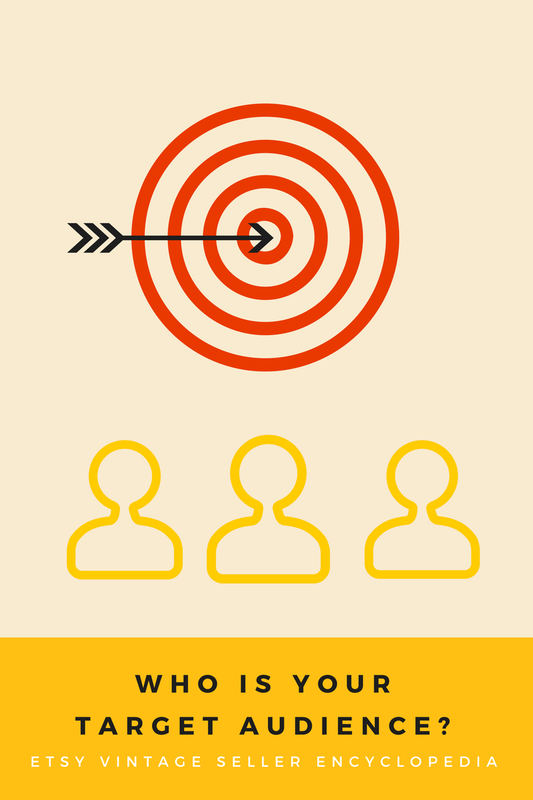 Its goal is to figure out what searchers want to see, what motivates them to buy. 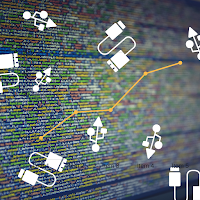 It takes time to examine millions of pieces of data. The algorithm will be looking for connections, called "context-specific results." 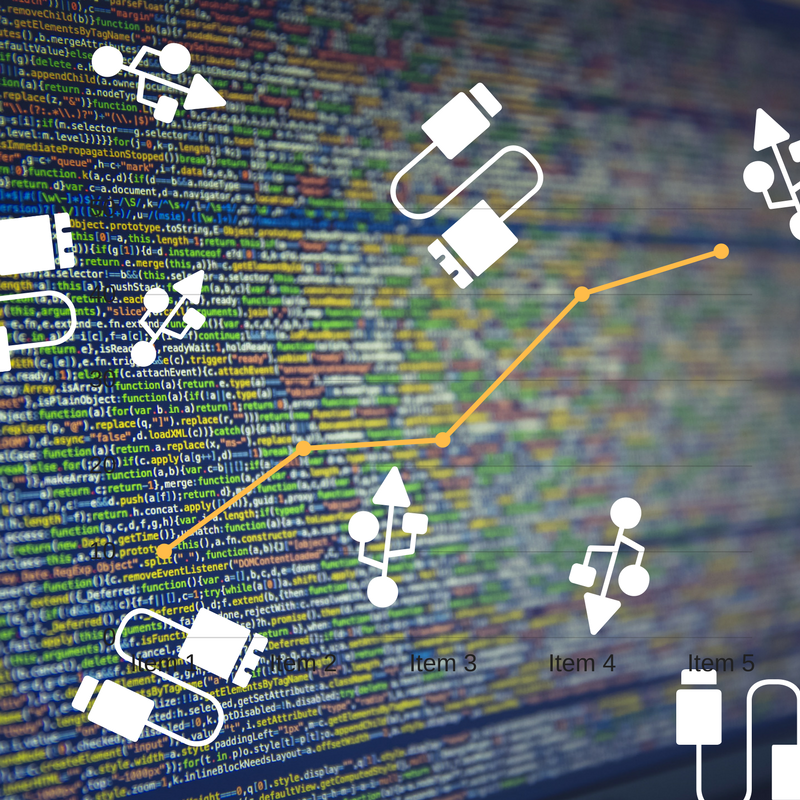 This new technology will be seeking common factors between millions of buyer search queries and actual sales. It will be connecting the dots. Add to that personalization of results. Everyone will see something different. Etsy's search has become more complicated than any human can understand... "machine learning." That is why no one can even begin to predict search results at this point. The thought is that search will change all the time for a year or two. Search results may at times be bad due to the learning curve. Of course, sales can suffer in the short term. This "deep learning" technology is calculated to "deliver even more relevant search results and a shopping experience that can be even more tailored to individual buyers." Ultimately, things should improve. Google's driverless car goes places... It is basically doing what it has been "trained" to do. Eventually Etsy's search will get there. Can Etsy's machine learning figure out vintage? 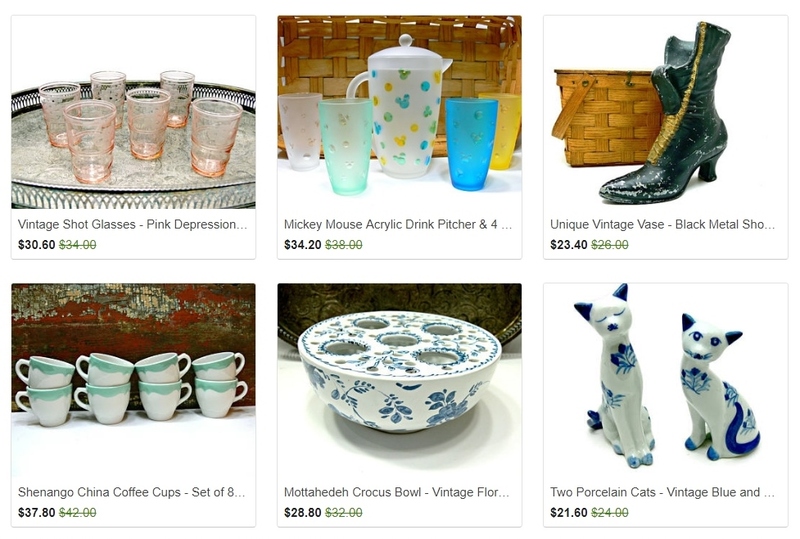 Vintage is vulnerable at Etsy. It seems like the proverbial red-headed step-child. Etsy is stressing its "made by someone" mystique, which is not vintage. Being in on the ground floor of a revolutionary new search experience has its pros and cons. Etsy sellers are about to find out the good, the bad and the ugly. Until more information is provided, making major changes would just be a shot in the dark. Let common sense prevail. For now, the rules appear to be the same as always... 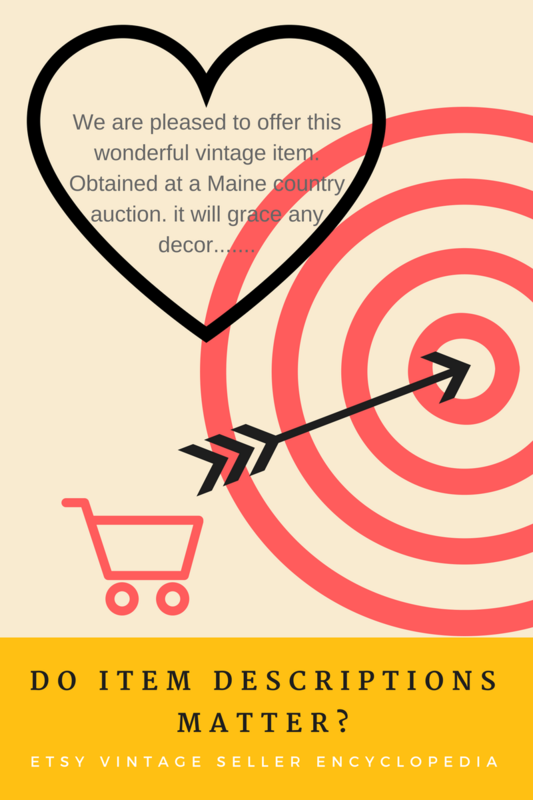 When listing, accurately describe your item. Use understandable and descriptive language. Carefully word your titles and tags. Fill out any slots for attributes. (Those are material, size and other search factors that are different for each type of item). Use great photos. Hang on tight, though. It could be a rough ride when machine learning is driving search. Want to know more? 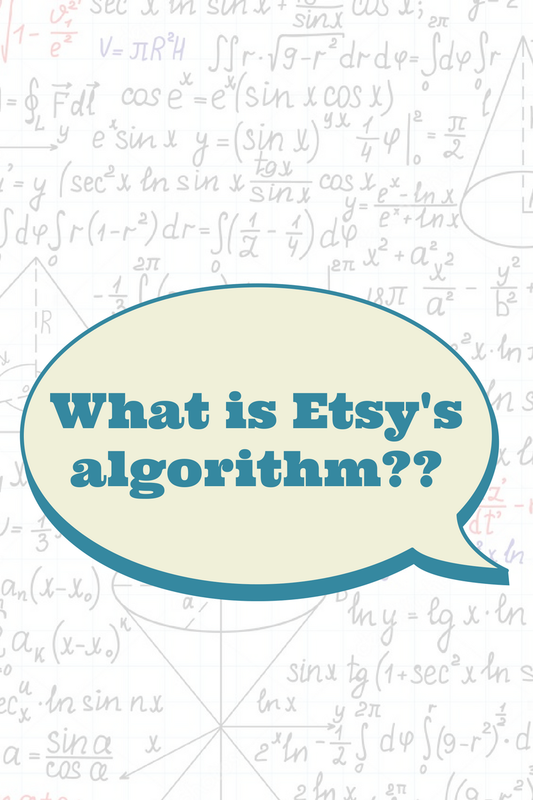 Here is some more in-depth information about recent changes in Etsy search. Sometimes it feels like there is a sea of change at Etsy. I know that I felt that way earlier this year. Since then, there have been further transformations afoot. For one thing, Etsy stated that they are doing even more testing than in the past. They use the term "experiment velocity." Etsy has not announced these changes per se. But they are happening. New filters are available (items on sale, free shipping, some attributes on the left side). Badges may appear for things like "best seller" and what they call a "scarcity". Guided search, which are orange-toned buttons that appear at the top of some broad searches. Shop feedback (star ratings) now display in search results. Similar items buttons are under search results (only show up if your cursor is over that item). 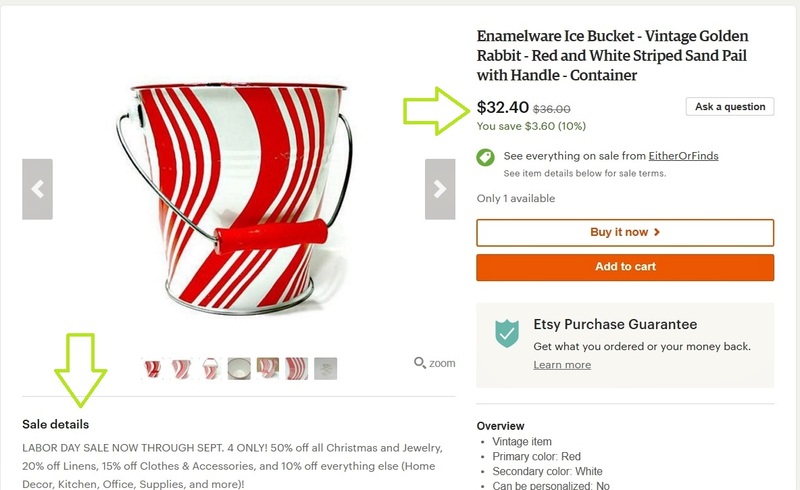 Etsy has begun to use machine learning technology ("artificial intelligence"). That is why Etsy purchased the company Blackbird Technologies last year. In the past, search results were returned to shoppers that best matched their exact phrases in tags and titles. And the best "quality scores." Gone is the "shop diversity" element. There is no longer a limit of one item per shop per page of search results. "Clumping" is now the norm. This is a big change for some shops. Also gone is the opportunity to test search to see how your items place. Why? 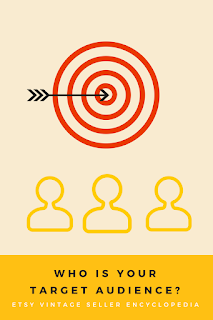 As mentioned above, your search results are becoming contextualized and personalized. Results are different for each buyer. As artificial intelligence is self-learning, the personalization is still developing. It is learning to make connections between the terms that searchers use and what their real intent is. 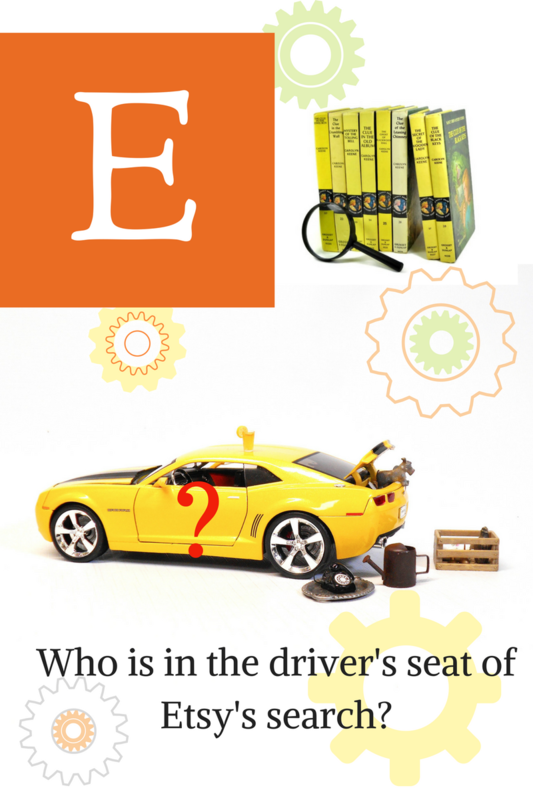 (For example, when someone types in a word, what is it that they eventually buy?) Etsy stated that factors include search history, user data and "as a first step" sales data. It is far from perfect, but you can expect it to get better with time. 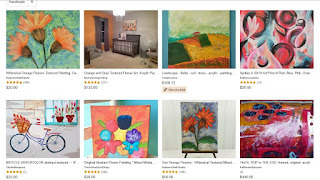 Any improvement in Etsy search is good news, right? What is next at Etsy? We do not know. And there is no recommendation to make any major changes to titles or tags. As always, use a variety of long-tail keywords. Use accurate titles and tags. Those are the best ways to capture different queries that buyers might make. And ultimately sell your items. Etsy is working on more interesting ("revolutionary") discovery tools... So plan on more changes! Are you offering free shipping? I am. In fact, I decided to permanently convert most of my listings to free shipping. I went into each one and manually made the change. It took some time. The back story is this: we moved recently. 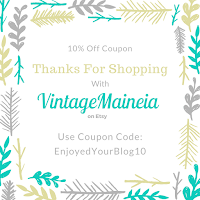 That is something that can be difficult for those of us who sell vintage. Why? Our buying far outpaced our selling. We collected too much stuff. Moving and organizing it is a lot of work. Especially with a roomful if extra items laying around, mixed in. I lost a couple of orders. Yikes. We decided it was time for a full inventory, pulling every item and checking it off a list. This was helpful, identifying some errors. 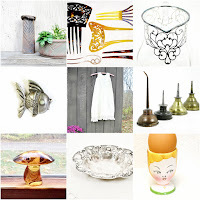 As we inventoried, I realized that I could convert many listings over to free shipping right then. I just needed to do it quickly while keeping up with the inventory process (my husband checking off items on a big Excel chart). 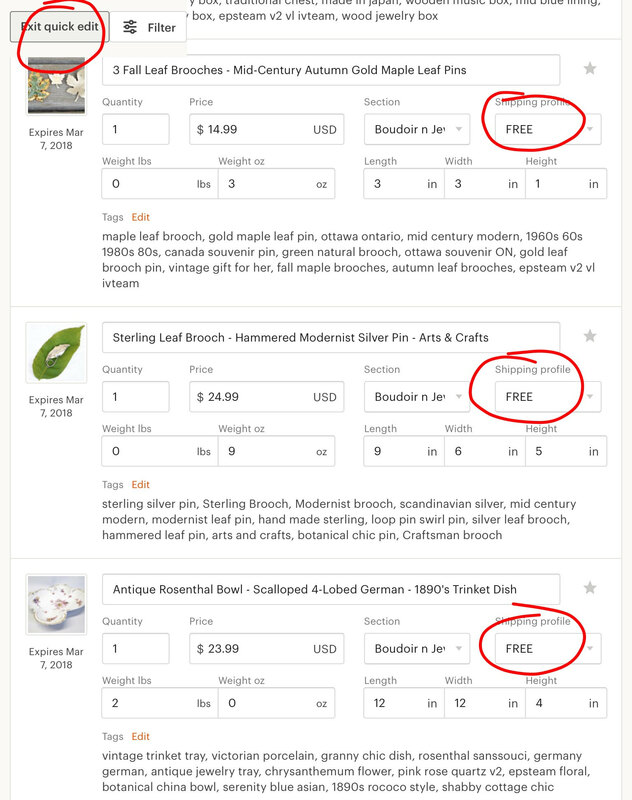 Eventually I was able to simplify the steps to make listings free shipping. There is a secret. Set up a "free shipping" profile from within "Listings." Then it is easy to convert individual listings. Open it and then one click. 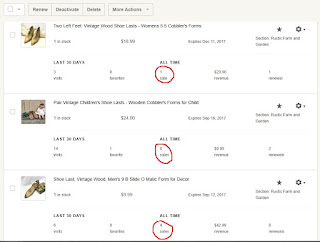 Even easier, use the "Quick Edit" feature from within Listings. For each item I ask myself, “is it under a pound?” If so, I add a little to the price. (I generally use price points.) Click the “FREE” shipping button. Done. Doing it this way makes the change a permanent thing, not a limited-time promotion. There, that was easy, right? Have a great selling day! A whole article here about how to switch. Etsy search: clumping is the new normal? As usual, changes are afoot. 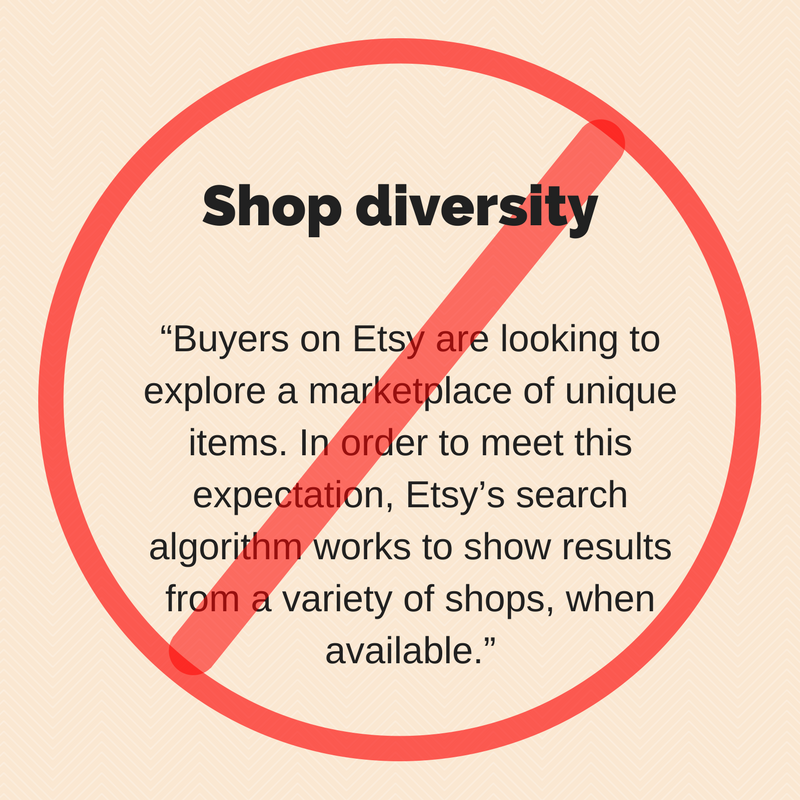 The “shop diversity” part of Etsy's search algorithm is no longer in place. We know that because the wording about it has been removed from Etsy’s seller help manual. Etsy has been testing this for the past two months or so. Complaints of “clumping” have been made. Clumping is when you see a page of search results with the same shop repeated over and over. Certain shops seem to dominate search results for some searches. Why is Etsy allowing it? Ultimately it comes down to making money. If items are not selling, then Etsy is not making money. 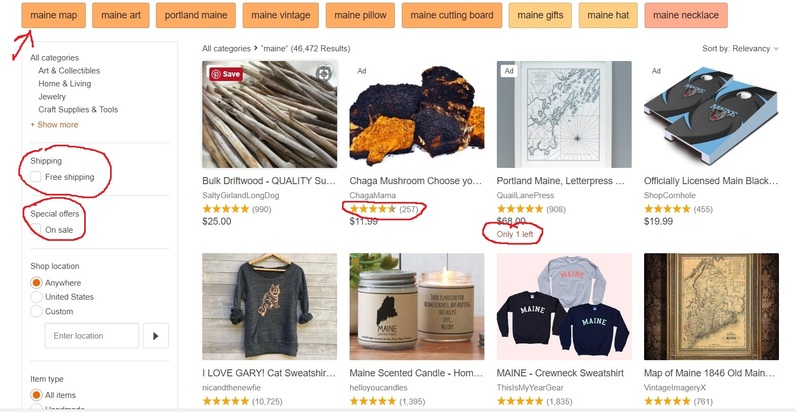 Etsy's search results will favor what makes the most money for Etsy. End of story. As mentioned, sellers had become accustomed to “fairness” or “diversity” in search results. 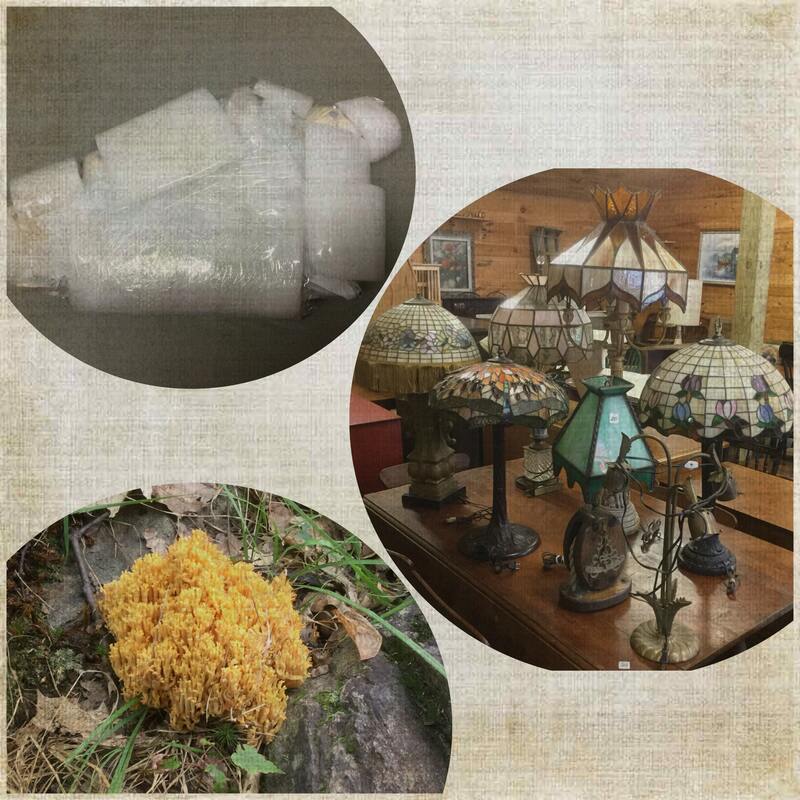 That was when you saw one item displayed from each seller, especially on the first few pages. How can I be the shop that shows multiple results? There are many steps you can take. Fill out all of your attributes. These are the new fields where you tell buyers the color, size and perhaps style of an item (as well as other attributes depending on the category). Search results are now being weighted with this information. Don’t get left behind. Make sure your item categories are drilled down as far as possible. Do not obsess about getting found on a one- or two-word general search. Focus on niche searches (AKA “long-tail searches”). By focusing on improving your items' rank in these specific multiple-word searches, your items gain ground in the more generic searches. Put the most searchable words at the beginning of your titles. The first few words (Etsy Admin keeps saying three) have the most weight. If you have more than one similar item, change up your wording (of both titles and tags). That way, your items may get found with a variety of search terms. 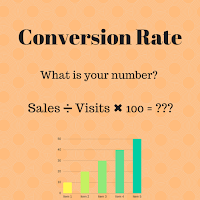 Have the highest possible conversion rate. A higher conversion rate is better. Raise your listing quality. Have 10 great photos. Ship quickly. Provide excellent customer service. Have minimal cases. Renew items often. List a new item or two every day. Offer more items. Larger shops seem to do better in searches these days. It also increases the odds that you will have something that someone wants to buy. Give the market what it wants. Figure out what is selling. If what you are offering does not move well, try something else. Try different price points. If it seems that cheaper is selling better, then offer lower priced items. Try a sale or free shipping. 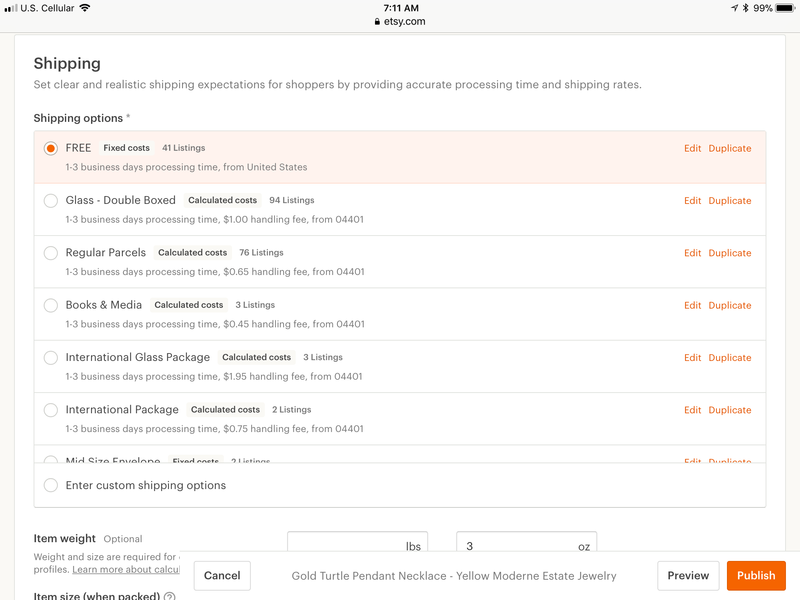 Your shop can be front and center if a buyer clicks a check box and applies the filter. There are a number of factors that determine where our items land in search. (One informed seller says dozens of factors.) No one (outside Etsy programmers) knows what those factors are. Or how each is weighted. They change all the time. The above factors ("steps you can take") are some educated guesses. How are sales in your shop? Is clumping good or bad? More to come on this subject... stay tuned. Etsy is now announcing some tests! That is happy news. Transparency is good. Here is the page where you can find out what is going on. (You may wish to bookmark it.) Not all tests will be announced this way. After all of the complaints by sellers I think that this is an improvement. If we see something unusual, there is an official place to go and check. That is better than reporting something as a bug just to find out it is a test. It is more accurate than just asking around. 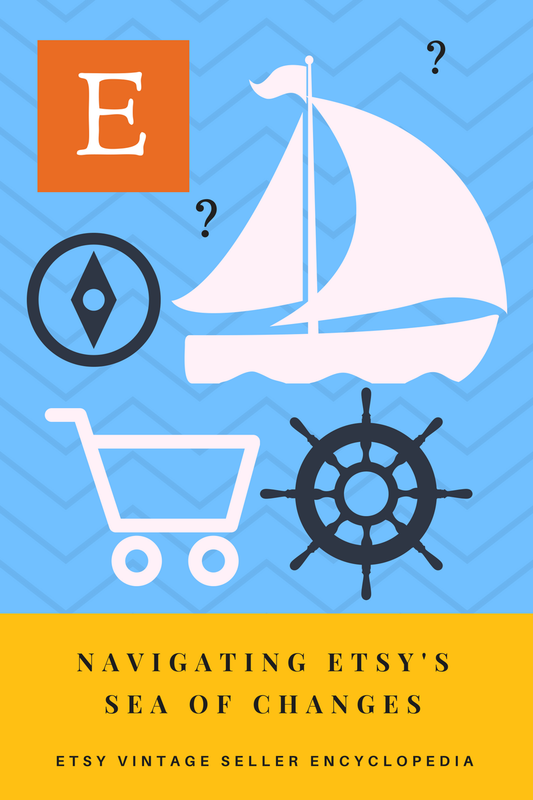 Will you offer free shipping on Etsy? Etsy is phasing in free shipping. It is optional for sellers. Buyers will start to be able to see free shipping on listings starting on October 9th. Buyers will see a badge on individual listings. They will also be able to filter listings when performing a search. As with everything else, Etsy sellers have mixed opinions about participating. Some studies suggest that the conversion rate improves 90% when free shipping is offered. Etsy stated: "More than half of the buyers we surveyed in August said free shipping is a very important factor in their decision to purchase an item." Free shipping can certainly be a powerful marketing tool. Do you shop on Amazon, using Amazon Prime? Or Wal-mart? Or eBay? Free shipping is not new. Does free shipping improve your placement in search results? "Offering free shipping doesn’t change where your listings rank in search results... buyers will have the option to filter search results for listings offering free shipping." Of course, this is a business decision. Every seller needs to make an analysis of the benefits versus the cost of offering free shipping. 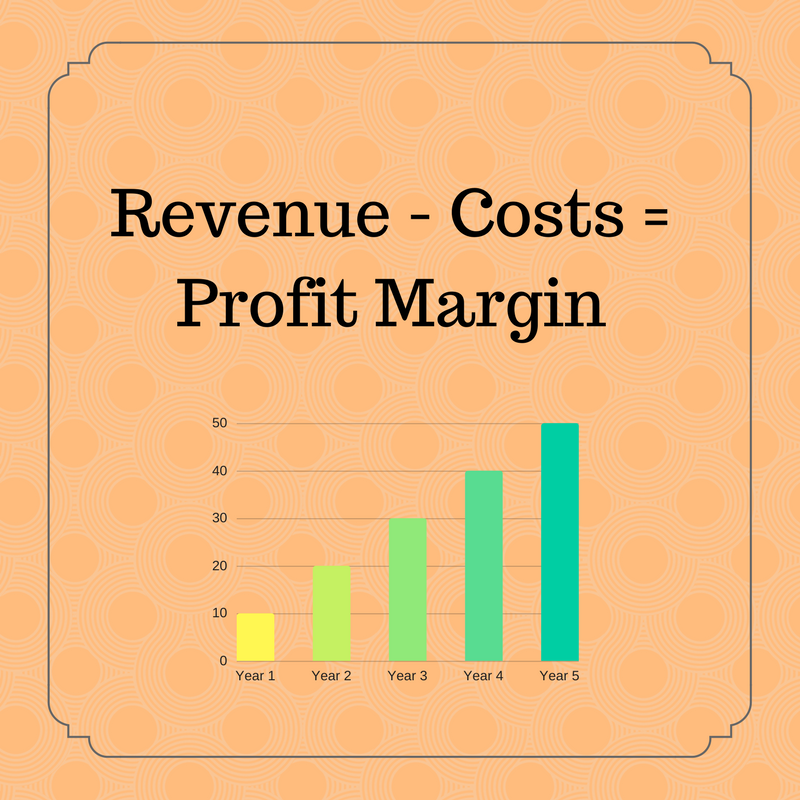 It comes down to one thing: can your business still make money if you offer it? How can you decide? Try testing out whether it works by offering it on some items and not offering it on similar items. See which items sell better. 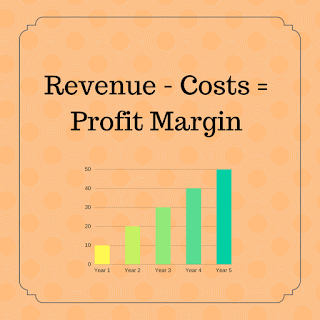 Analyze your profit margin, how much money you are making. 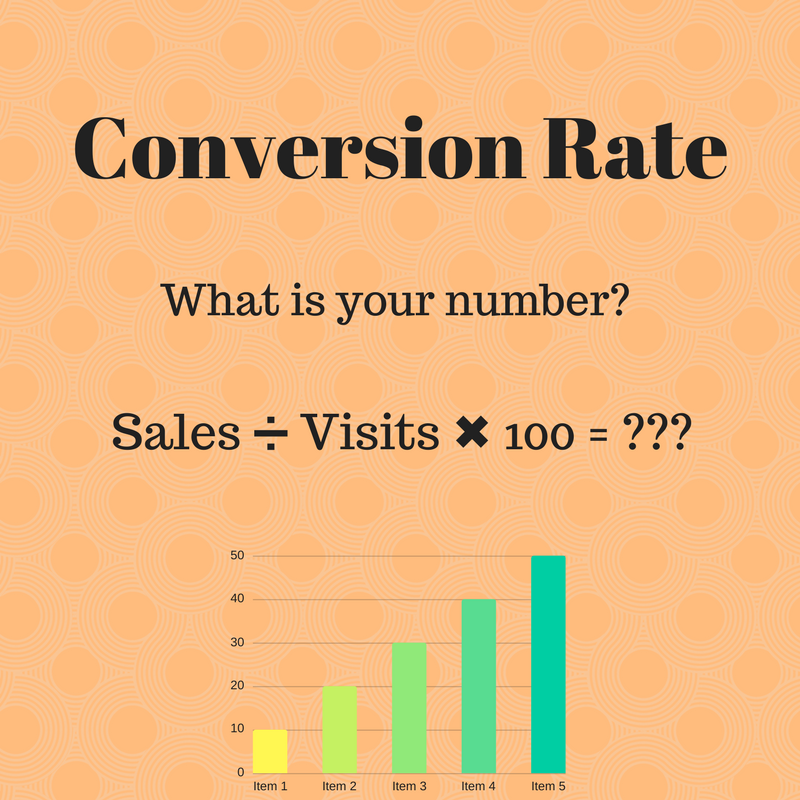 Is the increase in sales enough to keep your shop making money? Making enough money? Additionally, sellers should consider "the cost of offering free shipping as the cost of acquiring a new customer or retaining a loyal follower." There is some value to that, but how much? Sellers can set a minimum order dollar value. They can also specify a minimum number of items in order to qualify for free shipping. Etsy says that sellers can combine free shipping with another promotion (sale or coupon). "Eligible buyers will see both the free shipping and the other sale or coupon discount." The best items for this type of promotion would be items with a relatively low shipping cost, of course. Do you want to try it on some of your items? 1.) To create a free shipping sale or coupon, go to Shop Manager > Marketing > Sales and coupons and click "New special offer." 2.) Specify which discount you would like to offer by selecting "Run a sale." 3.) 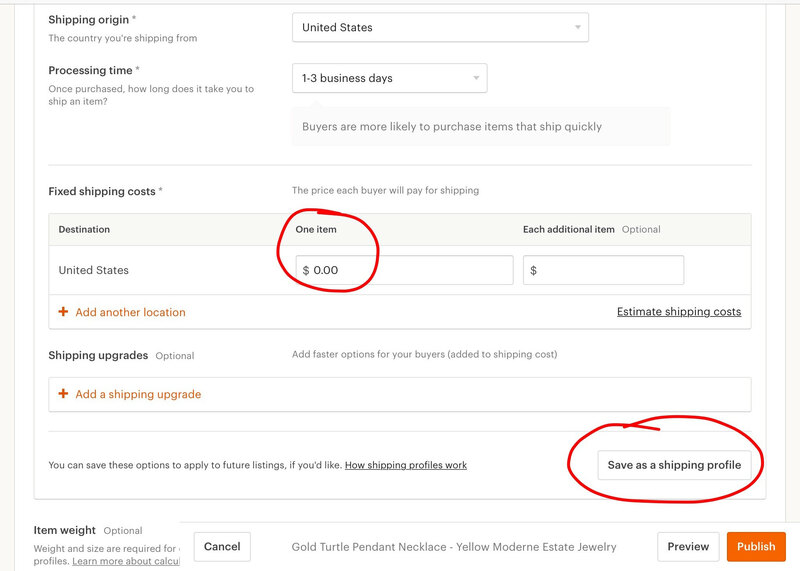 Select "Free shipping" from the dropdown menu, fill out the rest of the details about your sale and click "next." 4.) Choose the listings you would like to include in the offer. Here is a quick trick I discovered. 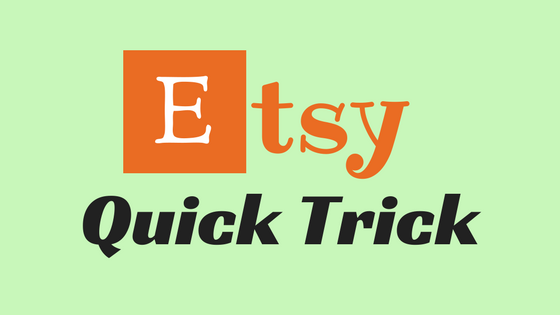 Here are more strategies from Etsy for offering free shipping. Many of us realize that we need to do market research in order to improve our business. Yet, how exactly is it done? There is an easy way. It is as simple as taking your favorite device and browsing the internet. Sound fun? It is! Why not give it a try? 1. Choose an item that is currently in your shop, available for sale. Look over your product. Think about its overall use and who you think would be the person to purchase it. (No stress - this is just to get your mind warmed up.) Linger a bit, noting the color, size, texture, where it is to be used, how it might be displayed. Your goal is to see all the places, the venues, that show up for similar products. Example: you are selling a vintage fish brooch. Search for "fish brooch." Observe the array of ads, shops, pictures and locations. Enjoy the process... browse. Click some sites that look interesting. 3. Next search images. What appears? Select the links and observe how similar products are being sold. Read the product descriptions. Look at the pictures. How are the items being used? How are the similar items staged in their photos? 4. 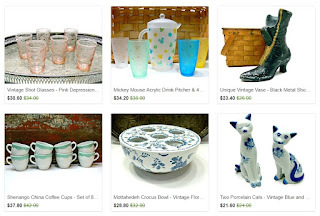 Find blogs that feature similar items. Read the posts (and even comments). 5. Browse Pinterest. Find some magazines. Locate similar products that are pinned and featured. What is being said? How is it being said? 6. Sip some beverage. Mull over your observations. Now you can see who your customer is. Note any clues for improving your listings. 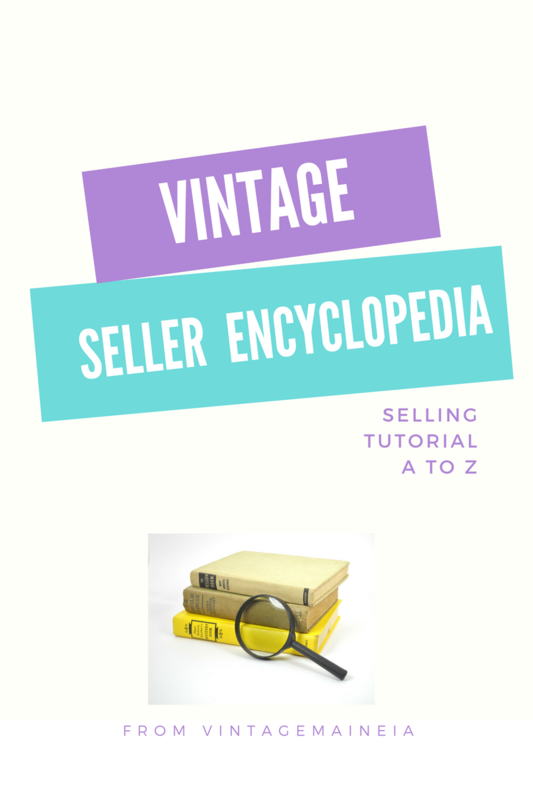 What terms are used that could help sell your items? What vocabulary style(s) do you see? Think about the photos you have viewed that show a similar item in use. Can you show your product in the same setting? Do you see room for improvement in your product (if you make it)? How about your photography? Staging? Item descriptions? Pricing? Title and tag keyword phrases? 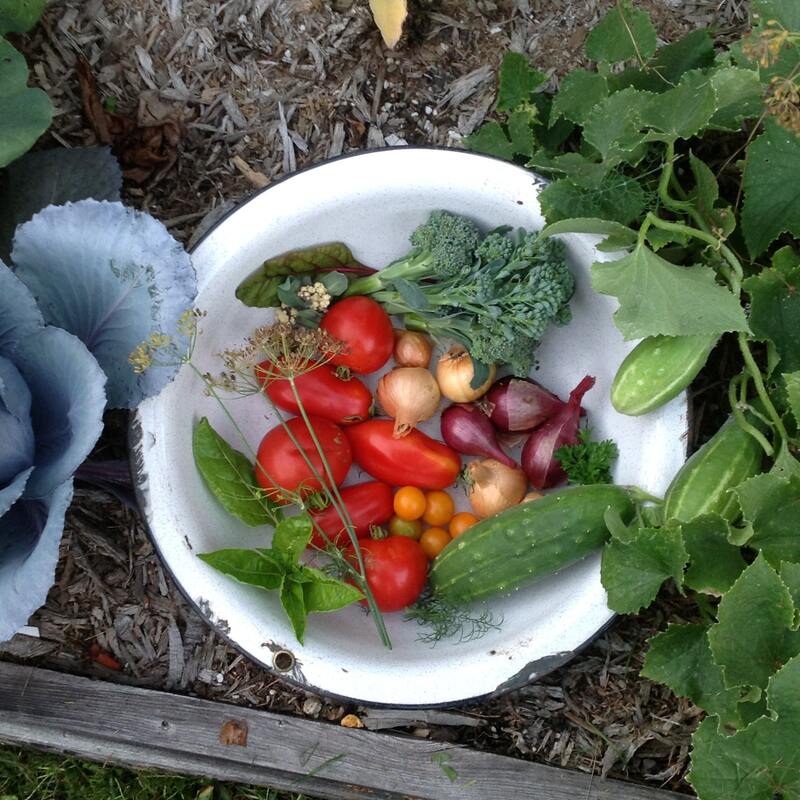 Use the information you have gleaned. Select a listing that is not performing well in your shop. Make some changes based on your new observations. It could lead to sales! This fun process can be repeated of course. The more different kinds of items you offer for sale, the more types of items you should check in this way. Research one item. Meditate on your findings. Make some changes. Evaluate the results. Lather, rinse repeat for more items in your shop. Your sales should improve. Go ahead, try it. You might like it. Thanks for joining me in the online selling journey. Need more information? 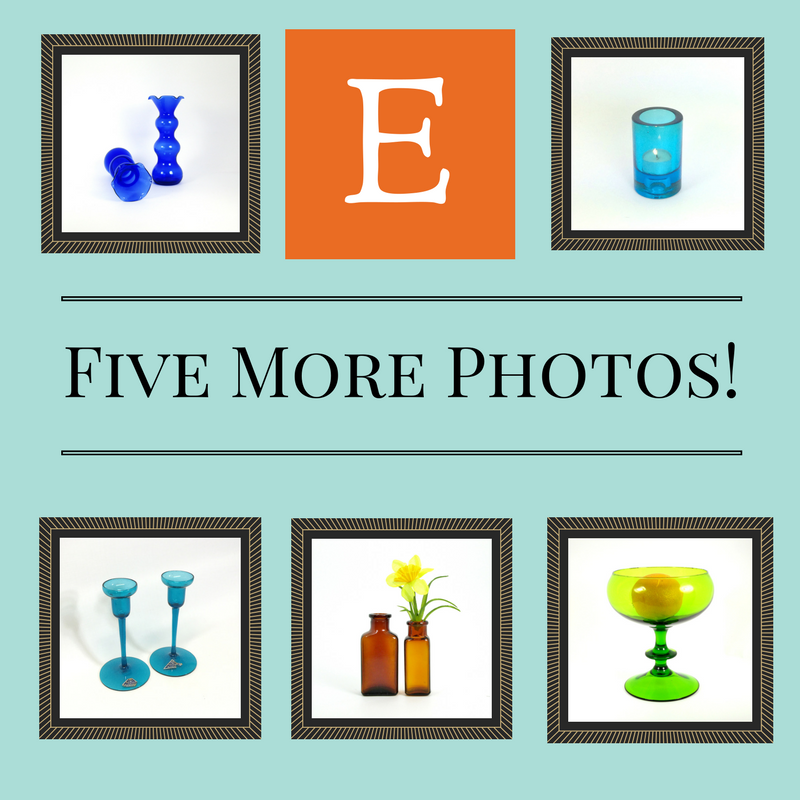 Here are 30 ways to improve your Etsy sales. Here are some more ideas if your shop sales are tanking. Etsy recently made truncated descriptions the standard rather than a test. This is where your item description fades into your reviews. Extra description text is hidden. Do you like it? Or do you hate it? If you are in the latter group, there is a simple solution. Short item descriptions are shown in full. How short? 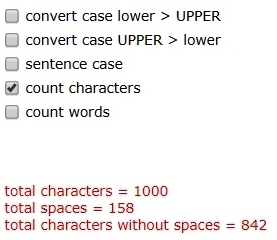 Keep your item descriptions under 1100 characters, including spaces and line breaks, or about 15 lines. Are your descriptions still fading after you have reduced your characters to 1100? Be sure to take into account how many "hidden characters," line breaks and special characters you use. Reduce your characters until the fading is gone. Aim for under 1100 characters. Is the prospect of counting to 1100 daunting? Use a character counting program. I use this one. Here is another. And another. Microsoft Word can count characters for you as well. If you have more to say in your item descriptions, try using your photo slots. 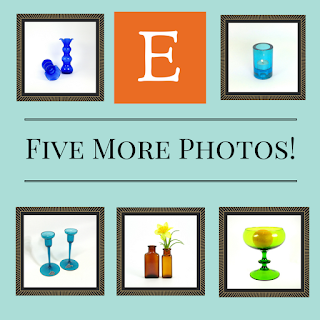 Buyers may be more inclined to look at photos than read text anyway. 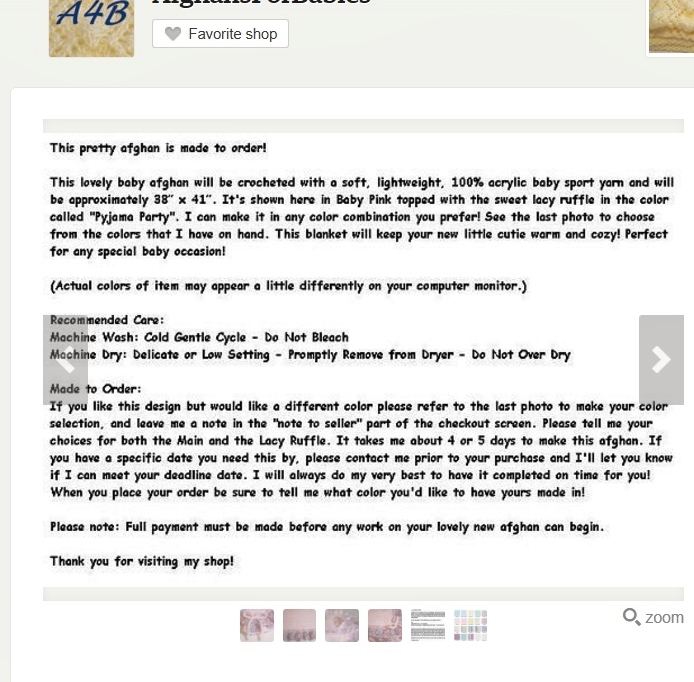 For example, one seller uses her photo slots for routine clothing sizing information. 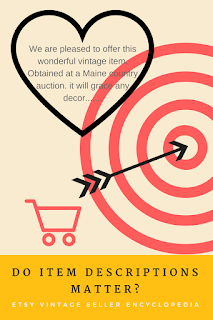 Here is more information about how to write compelling item descriptions. 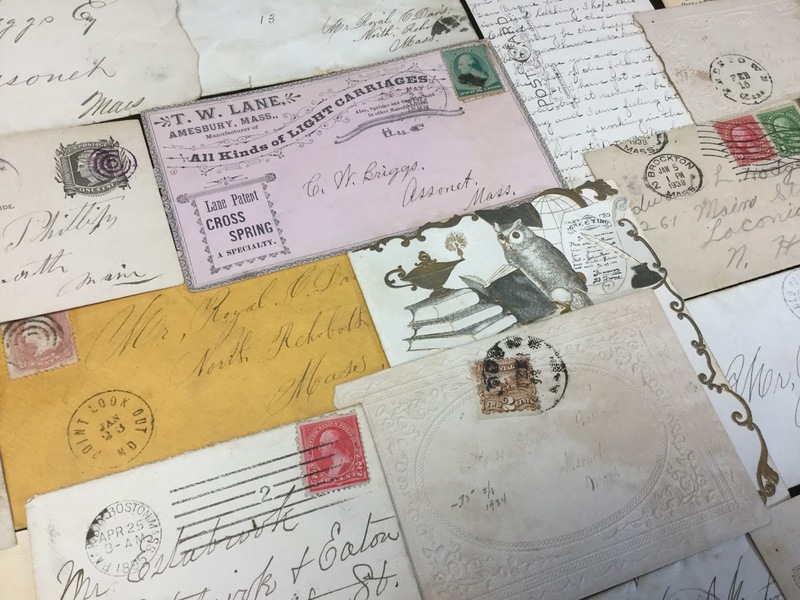 Vintage sellers certainly have a unique set of challenges when selling online. How long to make the description is a balancing act. Sellers are trying to make Etsy happy (by keeping it short), make Google happy, and be thorough in describing flaws. How are you doing walking that fine line? Thanks for joining me for another Etsy Quick Trick! Are you having a sale? Etsy is having a Labor Day Sale promotion. Are you participating? Here is the announcement. I am moving in September, so you bet I am. Who wants to cart inventory to our new place two hours away and find it again? Not me. I still need to figure it out. (Sorting and packing take time.) However, the tool seems easy to use. The metrics are very nice, too. Order minimums are not permitted for this promotion. Users report that you cannot edit a sale once it goes live. Perhaps Etsy will fix that. 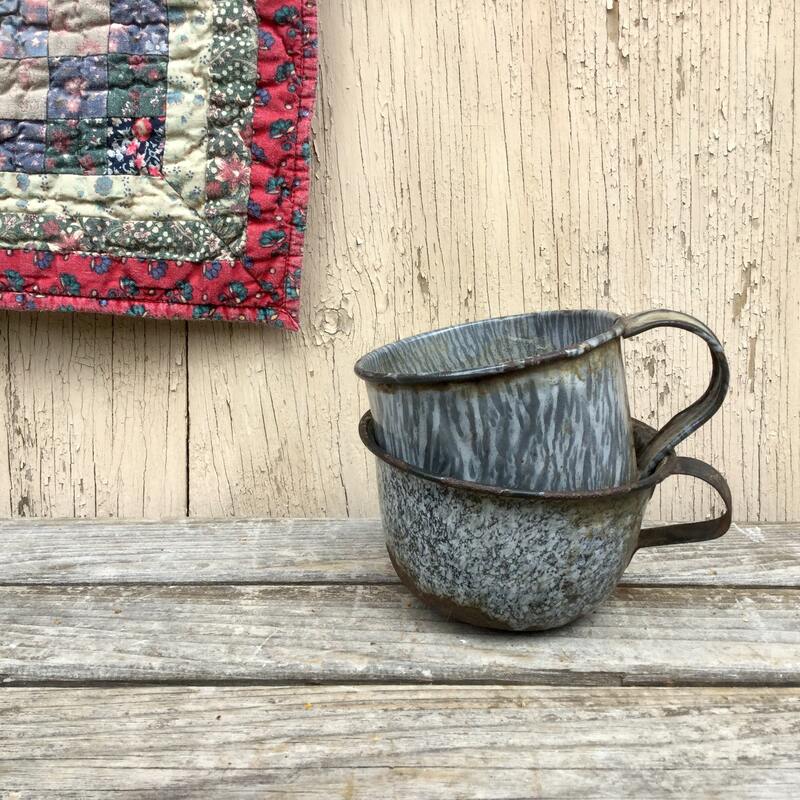 Kris from EitherOrFinds has set up a sale. 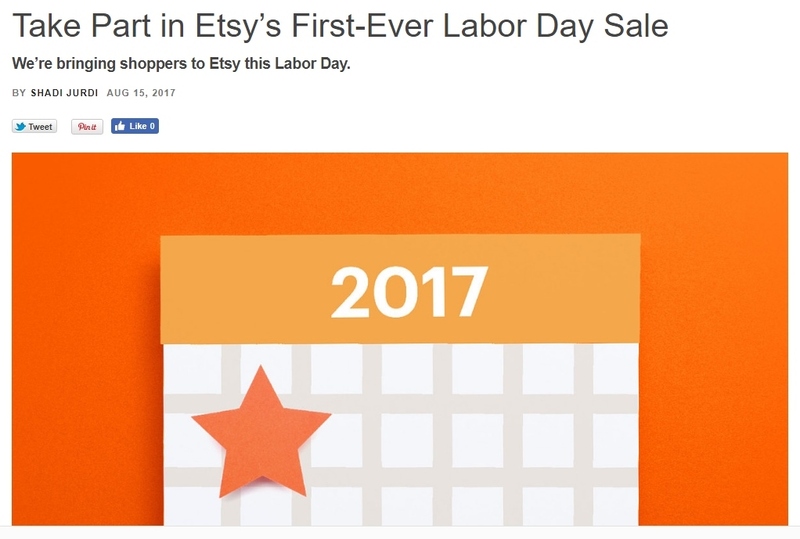 Etsy stated that they will promote the sale by "driving traffic to the page through marketing emails, site banners, social media, and Etsy’s homepage." Will you promote the sale... put out a Shop Update? Here is Etsy's explanation of the new tools. 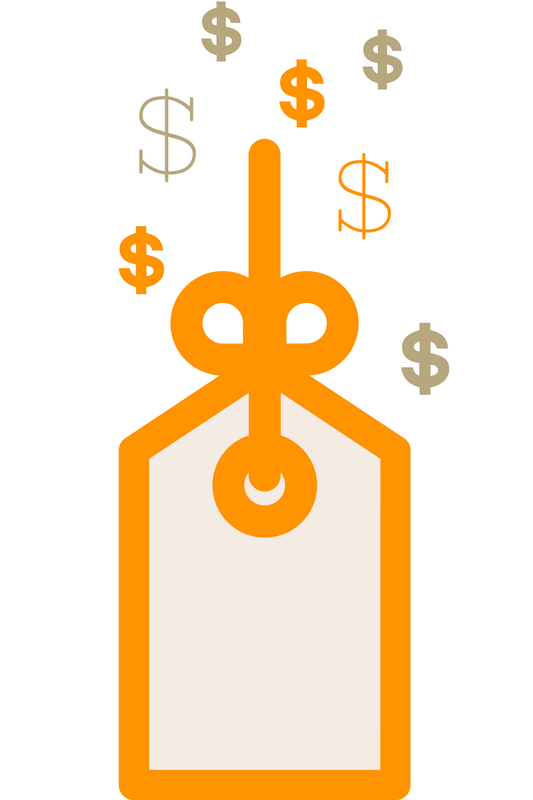 More general information from Etsy on sales and coupons. Will you be having a sale? See the extra sale information? 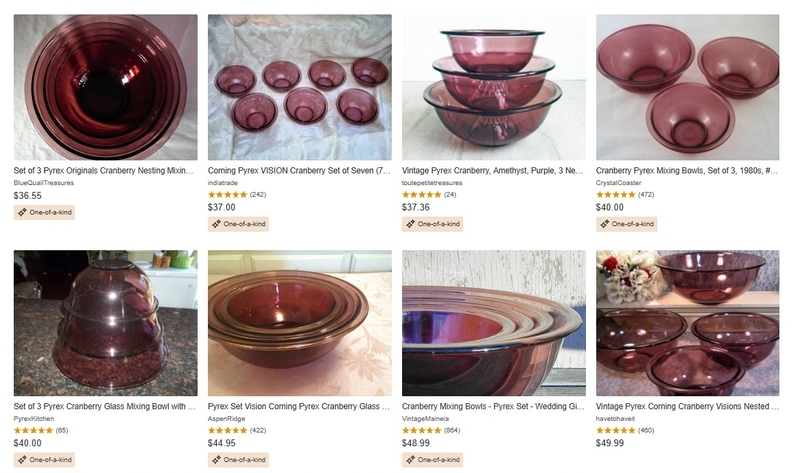 Are these Pyrex bowls really one-of-a-kind? Here is Etsy's announcement. Some are seeing the new badges: "best seller" and "one of a kind." How do sellers get the badges? Look at your item using the Shop Manager. (Toggle on your stats first.) Stats are displayed along the bottom of each listing: visits, favorites, SALES. If you have a quantity of more than one, then it is not one of a kind. No stats are available for how many items need to be sold for a listing to be considered "best-seller." Chances are, most vintage sellers will not qualify for this badge. However, you may receive another designation. Read on. Bingo! Your item will show as "one of a kind" and get the badge. Do you prefer popular (only 1 left!) or unique? 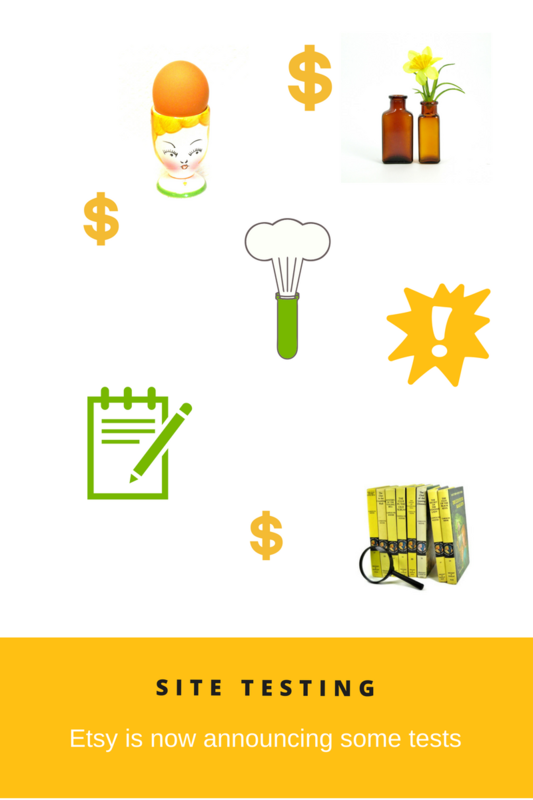 If your previous sales with that listing show as one or more, your item may get an "only x left!" badge. This rewards your item that has sold more than one. Some art work is not receiving the OOAK designation. Why, who knows? Here is a forum discussion on this test with a lot of interesting perspectives on it. Remember, this is only a test. So, just like... other things... Etsy is going over to polar opposites here it seems. The forums lit up on Wednesday, June 28 about it. 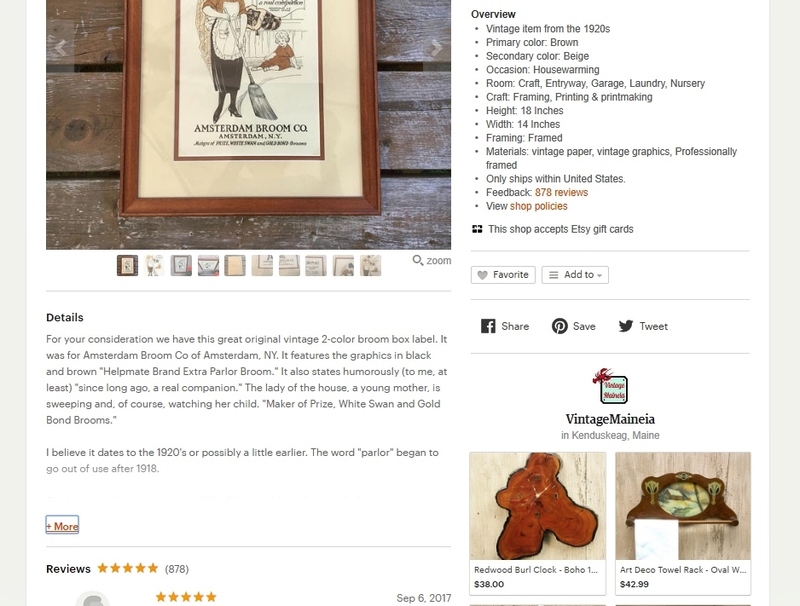 Vintage Etsy sellers' black memorabilia items for sale were being removed without warning. Things like Aunt Jemima bottles, historic books and advertising graphics. As you can see, sellers were warned that continued violations can risk their shop. Yikes! For some time, such collectibles have been permitted on Etsy. I sold a golliwog doll a while back. 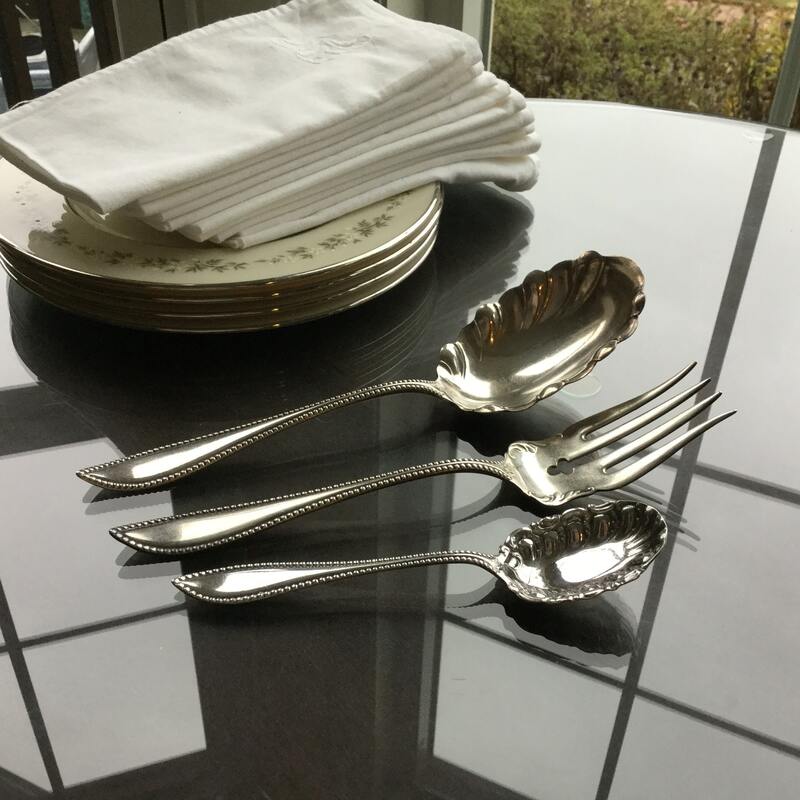 It is not part of what I normally offer; it popped out of a pile of linens I bought. So I sold it to a collector. Some do find such items to be offensive. So be it. I find certain things uncomfortable as well. 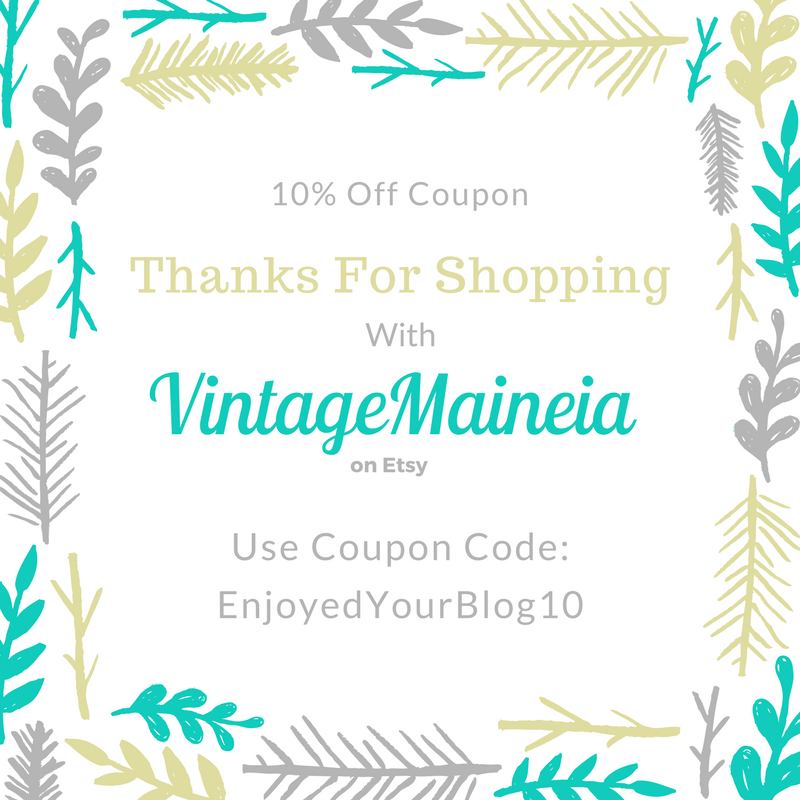 I perused the above policies when I verified that items I sell are allowed under Etsy's TOU. As Etsy's venue, they make the rules. And change them. Mammy dolls, including my pecan doll, were pulled from Etsy today. This is yet another reason to have several baskets for your eggs... I am forced to move my two affected dolls to another venue. 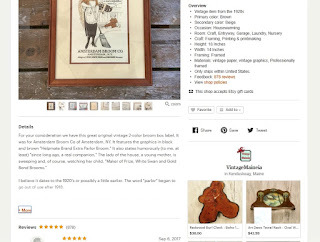 Can something be learned from such black memorabilia, or Etsy's removal of them? I cannot say... However, Winston Churchill stated "Those that fail to learn from history are doomed to repeat it."